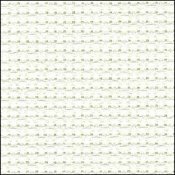 Antique White Aida 14, 15x18, Charles Craft  - $5.22 : Yarn Tree, Your wholesale source for cross stitch supplies. Item 7045. Antique White 15"x18" Tube Charles Craft Aida 14. Classic Reserve is Charles Craft’s finest cross stitch aida. Woven from 100% cotton yarn. Up to 33% heavier than economy fabrics.